Sports facilities, or any amenities, will attract people to city. This flies in the face of conventional wisdom that says the way to attract business is to lower taxes. The trouble with this plan is that other cities also lower taxes in competition. It quickly becomes a race to the bottom which no one wins. What brings business is young, talented people. And what brings people to the city is amenities, like art, music, education, sports, parks, trails, lakes, fishing, golf, and river recreation. Kamloops already has a unique, natural beauty and a mild, dry climate. We already have many attractive amenities. Those include UCC, a good hospital and health facilities, the art gallery, our symphony, professional theatre, and a lively arts scene. If we attract talented people to Kamloops then business will follow. And businessmen and women are like the people they hire – – they also look for attractive features in a city. An example of this “people first” strategy is the move of Nav Canada to Kamloops. Employees of the Flight Information Centre chose Kamloops as a place to live and that prompted Nav Canada built their new facility here. Private developers help, but only the city can build the kind of public facilities and common spaces on a scale that make a significant impact. Businesses can build facilities but they eventually serve the interests of shareholders. We are the shareholders in Kamloops and public development serves us and our future. 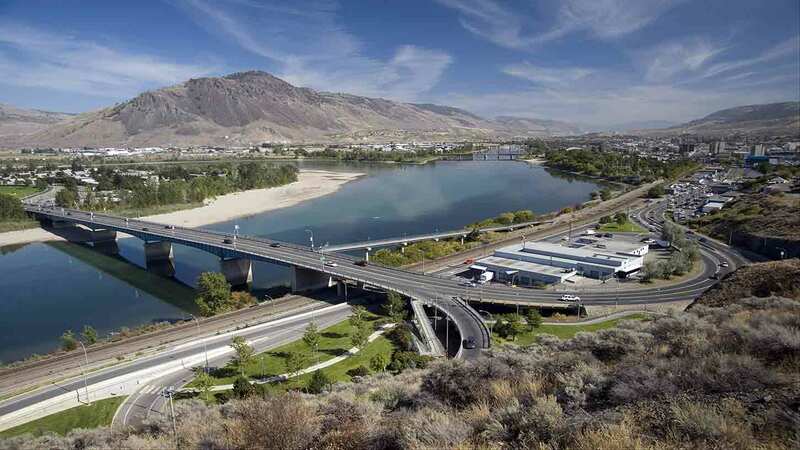 The City of Kamloops hopes to develop the concept of the Tournament Capital of Canada through an ambitious sports complex plan. Voters will go to the polls on Saturday to decide on borrowing money to build the proposed facilities. Anything that involves even a modest tax increase is a hard sell. Taxpayers are suspicious of governments. There is a sector of voters who feel that governments are conspiring, with wild and harebrained schemes, to take their money. Kamloopsians, like all British Columbians, have a love-hate relationship with taxes. According to an Ipsos-Reid poll taken one year ago, two-thirds (67%) of BC residents think they are getting a good value for the taxes they pay to their local municipality. But when asked how they feel about tax increases for new services or to maintain current ones, they are more ambivalent. Half (47%) said they don’t mind higher taxes, while half (47%) would prefer to maintain taxes even if it meant a reduction in services. Saturday’s vote is complicated. It requires a decision on more than spending tax dollars, or attracting talented people with amenities. Some see the sports complex proposal as a way of developing local athletics and attracting high caliber athletes from across Canada. For others, it’s seen as part of UCC’s promotion to be known as a university. The linkage of marketing for the City of Kamloops and UCC produces a powerful message. UCC already advertises Kamloops as a student-friendly, safe, city. The sports complex, if approved, would not only attract people to Kamloops, it would attract students to UCC. It makes sense for Kamloops and UCC to team up on marketing. The idea of sports compliments a healthy, fit, outdoor lifestyle that Kamloops can rightfully claim. Even for those who are not involved in sports, fitness has strong appeal for those considering a move to Kamloops. Prudent tax spending on public facilities is a sensible expenditure. The use of tax money to build the future of our city is based on sound business principles. It’s a principle that developers of shopping centers use but on a bigger scale. First, build an attractive facility that will attract customers. Business will rent space because customers are coming. It all starts with attracting people. After all that, I thought victory would be sweeter. I went to the rallies. I protested the privatization of the Coquihalla. Now that the B.C. Liberals have scrapped their plans to sell our highway, I should feel better. I guess it’s the nagging feeling that nothing has really changed. Just because Premier Campbell has backed off his plans doesn’t mean he has changed his mind. He might become even more sneaky about privatization. He still thinks short term gain is worth long term pain. Campbell would sell our resources for the sake of corporate profit. Once Campbell gets an idea in his head, it’s hard to dislodge it. He will continue to stubbornly push his plans for privatization of BC Hydro, BC rail, and other Public-Private Partnerships. Campbell might even retaliate against the dissenters from the interior who killed his pet project. He has said that he will cancel needed highway improvements in the interior. “This is the premier’s way of punishing residents of the interior who stood up to him,” says Chris Delaney, leader of the Unity Party of B.C. Kamloops MLA Kevin Kruger doesn’t like that talk. “No one is being punished. He shouldn’t say things like that.” Too close to the truth, maybe. What else are we to think? 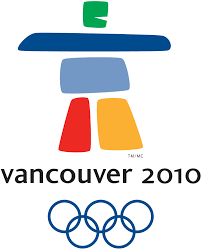 After all, Campbell will spend millions of dollars upgrading the highway to Whistler and on rapid transit in the lower mainland as part of preparations for the 2010 Olympics. He says that highway improvements will stimulate the economy and create jobs. If those economics work in the lower mainland, they should work in the interior. Or, does Campbell think that we are undeserving of an economic boost? It looks like a double standard to me. Perhaps in Campbell’s strange economics, because we in the Interior are a source of wealth, we should not benefit from it. After all it’s the extraction of resources from the Interior that fuels the economy. More wealth is generated in the interior, per person, than the lower mainland. MLA Kevin Kruger says that his government will not “borrow money and leave more debt for future generations.” He apparently says this with a straight face despite the fact that the Liberals have generated record high level of debt for every man, woman, and child in the province. The Liberals will borrow more than $1 billion during a seven- years period to pay for the Olympic Games. Kruger will claim that somehow it’s not borrowing when it’s done in the lower mainland. He can’t claim that Games revenue will offset spending since money from ticket sales, TV contracts, and corporate endorsements is years away. The Games’ improvements could have been paid without borrowing. All Campbell has to do is recover the $2 billion he lost in government revenue through tax cuts to his rich friends. But that doesn’t make sense in Campbell’s economics. In his reasoning, the rich get both a tax break and they benefit from the Games. The poor are relieved of their burden of rich resources and left with ghost towns, decaying roads, and privatized railways. All to pay for the lifestyle of the rich and infamous. The record budget deficit is beginning to make Gordon Campbell sweat. Under the Liberal’s own legislation, the Balanced Budget and Ministerial Accountability Act, they must balance the budget by 2004/5. They are prepared to sell anything to avoid breaking their own legislation. The Accountability Act also explains why the Liberals were prepared to sacrifice local MLAs Kruger and Richmond through the unpopular leasing of the Coquihalla. The Act forces a 20% reduction in minister’s salaries if they don’t meet budget targets. The quick sale of the Coquihalla would have balanced the budget for Minister Judith Reid and her Ministry of Transportation. With the cash infusion, Reid would not receive a pay cut. The interior MLAs would be mere causalities in the next election if the Coquihalla had been sold. Campbell’s vision of the province is narrow and parochial. It’s not just that he is unable to see beyond Hope, but also his stubborn economic tunnel vision is hopeless. Chris Delaney, Coquihalla, Kevin Kruger, Minister Judith Reid, Ministry of Transportation, Unity Party of B.C. Premier Campbell’s conversion to big spender is quite remarkable. Before the Olympics, the premier was all for cutting spending — schools, hospitals, courthouses, shelters for women and youths at risk, campgrounds, Pharmacare, avalanche warning, and just about anything he could. Winning the Olympic bid for Vancouver has changed his mind. Now the premier can’t spend money fast enough. 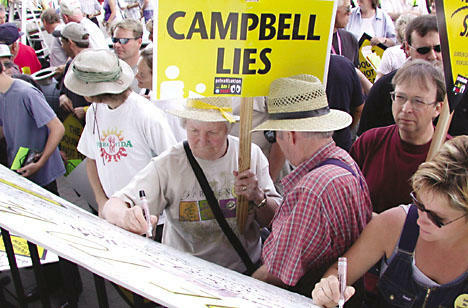 Campbell will bankroll the biggest spectacle in the world in 2010. His government will hire thousands of workers over a seven year period to build convention centers, roads, rapid transit and games facilities. The B.C. Liberals will become a bigger employer than the left-leaning government they replaced. The premier’s conversion is remarkable because up until now Campbell has led us to believe that governments don’t create jobs. The role of the government, he has told us over and over, is to get out of the way of the free enterprise system. By reducing environmental regulations and lowering wages for workers, we were led to believe that big business would create prosperity that would be only rivaled by our province’s natural beauty. At least, that was what he thought until the glory of Olympic Games illuminated the new way — spend, spend, spend. Now he is a believer in big government projects and will spend his way into the hearts of British Columbians and the world. Or, more correctly, the premier will spend our tax dollars on a huge sports spectacle. Never mind that we would rather spend our money on more sensible things, like human resources. Campbell has forgotten that B.C.’s biggest resource is its people and the wisest expenditure is on health, education, clean air and water, safety, and helping the less fortunate to their feet. Campbell’s gamble is that he will recover our tax dollars through revenue from ticket sales, TV rights, and corporate sponsorship. It’s not a sure thing. “The Province of British Columbia, as the sole guarantor of the Games, is assuming all the financial burden of what is, clearly, a risky business venture,” says a report from the Canadian Centre for Policy Alternatives. “The 2010 Games will not ‘pay for themselves,'” says the report. In fact, Olympic games usually lose money or worse, because of bad accounting, no one is ever quite sure. UCC economist Jim Seldon has seen it all before and cost overruns are common. “I’ve looked at both the studies prepared by the provincial government and the one by the CCPA — plus a lot of other benefit-cost and economic impact studies for ‘events’ of various sorts over the years,” Seldon told me. Cost recovery is unlikely. If taxpayers are willing to pay more taxes for the Olympics, then it’s not a cost but a benefit. “The idea is pretty simple: if you are willing to pay $10 for something rather than go without it, then that item logically must be worth at least $10 to you and maybe more,” according to Seldon. So, even if we are a bit short in recovering our investment the money may be well spent. Or not. And what about all the thousands of construction jobs in created by the Olympic games. In fact, jobs are created by almost any government project. It doesn’t matter if it’s building Olympic stadiums, highways, hydro dams, fast ferries, or just digging holes in the ground. The real question is not whether jobs are created but rather, what are the lasting benefits of those jobs? Will the pride of hosting a world-class event and attracting world’s attention for a few weeks be worthwhile? Time will tell if Campbell’s gamble will be a lasting legacy and the money well spent. Will it be as durable as former Premier W.A.C. Bennett’s hydro dams and a public electrical utility? Or will it be more like Premier Glen Clarke’s failed dream of B.C. as a world class ship-building province?